You will find many green homes here in the Asheville NC area. Asheville is home to the Western North Carolina Green Building Council. The local green building council is responsible for overseeing the NC Healthy Built green homes green building program in this area. As certified green builders, Green Mountain Realty can better assist you with the purchase of a green home in this area. 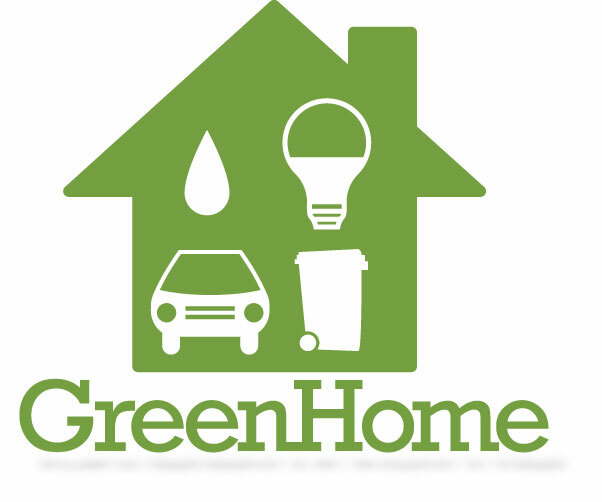 Call us at (828)-215-9064 or contact us today for green homes, luxury homes, condos or real estate here in the Asheville area. I have a question about the property at 8 Killian Road Asheville NC 28804 (#3476283). I would like to schedule a visit for the property at 8 Killian Road Asheville NC 28804 (#3476283). Beautiful pre-construction GreenBuilt and EnergyStar Certified home by JAG Construction in West Asheville's premier neighborhood, Malvern Walk. Excellent open concept floor plan with vaulted tongue and groove pine ceilings and gigantic windows for amazing natural light. Gourmet kitchen with silestone counters and stainless steel appliances. Master on main level + two upstairs bedrooms and an additional bedroom in the finished basement with media room and polished concrete floors. One-car garage + laundry/mudroom. Screened porch and spacious deck for ample outdoor living space. Act now to choose your finishes. I have a question about the property at 48 Malvern Walk Asheville NC 28806 (#3441584). I would like to schedule a visit for the property at 48 Malvern Walk Asheville NC 28806 (#3441584). One of the best long range mountain views in Asheville/Hendersonville area. Exceptional gated active community. Custom built 3 bd/3 ba well maintained energy star home waiting for you to make it your own. Priced well below building costs. Captivating views from both floors. Enjoy outdoor living on spacious 60 ft long raised deck w/ fireplace & TV. Relax & enjoy the ever-changing views, & be entertained by the visiting hummingbirds. Electric bill is $140 average, including induction cooktop, and heat pump. City water. Chef's kitchen with gorgeous granite, top of the line SS appl, and solid cherry cab. Plenty of storage. Master & guest bdrm on main floor. LR has gas fireplace. Attached 3 car garage. 20 min to shops, 25 to Asheville airport. Community has 3 million + Clubhouse with Fitness Center, Library, and Pub-room, for social events Quick close possible. $665k. I have a question about the property at 332 Summerset Drive Hendersonville NC 28792 (#3482431). I would like to schedule a visit for the property at 332 Summerset Drive Hendersonville NC 28792 (#3482431). I have a question about the property at 265 Hogans View Circle Hendersonville NC 28739 (#3437508). I would like to schedule a visit for the property at 265 Hogans View Circle Hendersonville NC 28739 (#3437508). Open floor plan, Energy Star fixtures, Carrera marble, spacious decks, wine cellar, extensive moldings, huge master closet, heated master bathroom and shower floors, cathedral and vaulted wood ceilings are a few of the reasons you'll love this home. Beautiful brand new construction in gated community that offers clubhouse, indoor pool, tennis courts, and much more. Conveniently located minutes from downtown Hendersonville and a short drive to shopping, restaurants, airport and many local attractions. I have a question about the property at 76 Barnsdale Lane Hendersonville NC 28791 (#3328109). I would like to schedule a visit for the property at 76 Barnsdale Lane Hendersonville NC 28791 (#3328109). Built by Jade Mountain Builders, this beautiful home offers numerous hand-crafted custom details. Some of the home's highlights include a custom-built, live-edge cherry kitchen bar top and lighting overhang, hand built walnut coat rack, entry and dining area has custom white oak accent wall, large pantry, cook's kitchen, soapstone kitchen counter tops, light soaked sitting area, gleaming white oak floors, master on the main level, bathrooms with concrete counter tops, two upstairs bedrooms with roomy laundry closet, a spacious lower level with a den and two bedrooms, efficient green-built construction, sizable, private flat back patio surrounded by a privacy screen fence and abundant, and thriving mature landscaping. Enjoy this excellent location, which is an easy walk to downtown Asheville, Montford Park and neighborhood restaurants. I have a question about the property at 22 Hibriten Drive Asheville NC 28801 (#3490680). I would like to schedule a visit for the property at 22 Hibriten Drive Asheville NC 28801 (#3490680). PROPOSED CONSTRUCTION in the Pinnacle at Arabella Heights, a new, gated subdivision in Arden NC. The Pinnacle 2 is a low-maintenance home with main-floor living. Full-light lower level walkout to patio, long range mountain views; vaulted & tray ceilings; sunroom; granite countertops; hardwood floors; gas fireplace; multi-zoned HVAC; tankless water heater; solid-core doors; frameless master shower door; & NO YARD WORK. Huge selection of interior finishes let you personalize the home to suit your own unique style. Community includes: clubhouse with fitness center; neighborhood pool; and walking trails. Full city amenities with underground utilities, city sewer & water, yet county-only real estate taxes. Convenient to Biltmore Park, only 5 minutes! Long-range community views of Asheville & Biltmore Estate! Energy Star/Green Built. Add 330 sq ft FROG option for 4th bed/bath. I have a question about the property at 9 Lifestyle Court Arden NC 28704 (#3366943). I would like to schedule a visit for the property at 9 Lifestyle Court Arden NC 28704 (#3366943). I have a question about the property at 41 Ravenwood Drive Fletcher NC 28732 (#3473614). I would like to schedule a visit for the property at 41 Ravenwood Drive Fletcher NC 28732 (#3473614). LIVE GREEN and stylish in KENILWORTH!! This centrally located home is being thoughtfully crafted by Parade Of Homes Gold Medal Winning Longview Builders. Currently under construction for completion by late Summer/early Fall 2019, this Modern Farmhouse style construction will feature Granite Counters, Stainless Steel Appliances, Solid Interior Doors, Master on Main, Hardwood Floors, Aluminum Clad high efficiency Windows, EnergyStar certification. Walk to Biltmore Village, 3 nearby parks, Mission Hospital, walking trails, and South Slope breweries. Less than 2 miles to downtown and close to UNCA. Ask for more details including examples of the builder's work.Taxes TBD. Floor plans available. I have a question about the property at 23 Caledonia Road Asheville NC 28803 (#3464101). I would like to schedule a visit for the property at 23 Caledonia Road Asheville NC 28803 (#3464101). Organic Farm, Barns, Pastures, 13 acres and immaculate Farmhouse. Full and extensive remodel down to the studs with foam insulation in ceilings and walls. Artsy finishes with attention to detail throughout original home. Sip panel construction of 'new master wing' addition on the main level. Super-efficient home with classic style, coffered ceilings, cork flooring, with an open entertaining layout. Kitchen is of a chefs quality with gas grill top island and abundant workspace. New master suite overlooks the Ivy River, upper two bedrooms feel like home! Useful office space at the top of the stairs. Classic home with modern flare! The property is organic working dirt with level to rolling fenced pastures, huge barn servicing up to six stalls, tack room with towering storage area above. Detached run-in stall in pasture, chicken coup, wood storage barn, potters shed and killer tree house! Creek borders pasture, additional acreage adjacent also available. I have a question about the property at 3652 Gabriels Creek Road Weaverville NC 28787 (#3416443). I would like to schedule a visit for the property at 3652 Gabriels Creek Road Weaverville NC 28787 (#3416443). PROPOSED CONSTRUCTION in the Pinnacle at Arabella Heights, a new, gated subdivision in Arden NC. The Pinnacle 3 is a low-maintenance home with main-floor living. Full-light lower level walkout to patio with wooded privacy; vaulted & tray ceilings; sunroom; granite countertops; hardwood floors; gas fireplace; multi-zoned HVAC; tankless water heater; solid-core doors; frameless master shower door; & NO YARD WORK. Huge selection of interior finishes let you personalize the home to suit your own unique style. Community includes: clubhouse with fitness center; neighborhood pool; and walking trails. Full city amenities with underground utilities, city sewer & water, yet county-only real estate taxes. Convenient to Biltmore Park, only 5 minutes! Long-range community views of Asheville & Biltmore Estate! Energy Star/Green Built. I have a question about the property at 9 Craftsman Overlook Ridge Arden NC 28704 (#3366825). I would like to schedule a visit for the property at 9 Craftsman Overlook Ridge Arden NC 28704 (#3366825). This custom designed home has incredible river and mountain views and sits high above the French Broad River Greenway. Walk to Carrier Park and Dog Parks, Easily BIKE to West Asheville, Biltmore Village, River Arts District and Downtown Asheville. Energy star home w/Therma-Tru Exterior Doors. Interior stairs and easy access to the garage assure safe entry. Maple Cabinets,Granite Countertops Rift Sawn white oak flooring Premium tile .Cyprus T&G Ceilings and Ambrosia Maple beams on first floor ceilings. SS appliances. Premium lighting & Fans,. Custom Closets Solid Wood Doors, locally milled Ambrosia Maple trim,Baldwin door hardware. Jotul Gas woodstove with circulation fan. Covered Decks with Trex Decking and Cable railing shows off the views. Hi-efficiency Heat Pump & Rannai Tankless water heater .Open Cell Foam in walls and ceiling. Garage/separate Mini-Split Unit for heat and is plumbed for additional bathroom and kitchen. LP Smart Siding, Marvin Integrity Windows. I have a question about the property at 22 Upstream Way Asheville NC 28806 (#3464657). I would like to schedule a visit for the property at 22 Upstream Way Asheville NC 28806 (#3464657). Amazing opportunity for all one-level living in Biltmore Lake! Many energy-efficient updates (see attached list), as well as new paint, light fixtures, & granite counters. This one is pristine, stylish, and move-in ready! Large daylight unfinished basement can be a work shop & storage area, or is finish-ready if you want an extra suite for guests, media/family room, or hobby space. Sealed crawlspaces & foam insulation already complete for max efficiency. Great open kitchen & family room, screened porch plus open deck for grilling & dining. Large lot w/fenced back yard & wooded space borders the trail & common area. Short walk to the lake! *Sellers need occupancy or leaseback until August. I have a question about the property at 29 Greenwells Glory Drive Biltmore Lake NC 28715 (#3485898). I would like to schedule a visit for the property at 29 Greenwells Glory Drive Biltmore Lake NC 28715 (#3485898). Stunning Modern-Craftsman home in the picturesque Reems Creek Valley. Features include tile floors throughout the main level, a large kitchen with granite countertops, tile backsplash, and stainless steel appliances, spacious living room with soaring tray ceilings, and more! The airy and open floorplan is filled with windows that showcase incredible mountain vistas. Enjoy a spacious master suite on the main level that features a large walk-in closet, doorless tile shower, double vanities, jacuzzi tub, and en-suite office/den. Two bright guest suites are both located on the main floor. The upper level features a large recreation room, full bathroom, and heated/cooled storage room. Large Laundry Room and oversized 2-car garage complete this ideal home. Energy Star Certified home features a tankless hot water heater and zoned, gas HVAC system. Professional landscaping surrounds the flat, fully fenced backyard. A covered back patio creates the perfect space for outdoor entertaining. I have a question about the property at 23 Penley Park Drive Weaverville NC 28787 (#3464265). I would like to schedule a visit for the property at 23 Penley Park Drive Weaverville NC 28787 (#3464265). Modern GreenBuilt and EnergyStar Certified home by JAG Construction and Pettler Architects in West Asheville's Malvern Walk neighborhood. Sleek and modern exterior plan with custom wood beams at entryway. Open floor plan with amazing natural light. Gourmet kitchen with silestone counters and stainless steel appliances. Master suite with vaulted ceilings on second level + two upstairs bedrooms and an additional bedroom in the finished basement with media room and polished concrete floors. Office on main level. Screened porch, spacious deck, and lower level patio for ample outdoor living space. Professionally landscaped yard. See brochure for details. I have a question about the property at 60 Malvern Walk Asheville NC 28806 (#3442398). I would like to schedule a visit for the property at 60 Malvern Walk Asheville NC 28806 (#3442398). Under tax value! New construction in cul-de-sac lot with gorgeous winter views! Home features modern lighting fixtures, spacious dining/living room with vaulted ceilings, gorgeous kitchen with granite countertops, energy efficient stainless steel appliances, LED lights, insulated garage/garage doors. Plenty of storage in unfinished 1,569 sf basement accessible from main floor ready for your touch. Beautiful finishes throughout. Carriage Park is a gated community located minutes to shopping, airport and more. I have a question about the property at 109 Wood Owl Court Hendersonville NC 28791 (#3299385). I would like to schedule a visit for the property at 109 Wood Owl Court Hendersonville NC 28791 (#3299385). Gorgeous new custom home in gated community! Open floor plan with lots of natural light and winter mountain views. Great room features vaulted ceiling & gas fireplace; large kitchen with granite counters, soft-close cabinets & stainless appliances-convection microwave & oven. Two master suites w/vaulted ceilings & tile/granite baths on main level; two additional bedrooms with family room and full bath in basement. So many upgrades & energy-saving options are incorporated into this home (see attached list for details; too many to list). Double decks; wooded, low maintenance yard. Fantastic location only 2.8 miles from Biltmore Park shopping, dining, movies & YMCA. Amenities included pool, pool house and walking trails. Easy access and main-level living close to everything! See video link to 3D Matterport virtual tour. I have a question about the property at 43 Springhead Court Arden NC 28704 (#3483790). I would like to schedule a visit for the property at 43 Springhead Court Arden NC 28704 (#3483790). Exceptional quality and minimalist design abound in this custom Energy Star arts and crafts home. Inspired by Frank Lloyd Wright, the foyer welcomes you with gorgeous built-ins and special details continue throughout. The oak hardwood floors were milled from trees from the building site. A gracious floating staircase, Pella windows, a 40-year metal roof, and an Alterra wood stove are just some of the features of this incredible home. The master suite has access to the generous back deck, heated bathroom floors, and a large custom closet. Desirable open-concept main floor plan with room to spread out in the lower level family and bonus room. Master suite and laundry room on the main level, close to schools, Biltmore Park, the Arboretum and Blue Ridge Parkway. I have a question about the property at 525 Wood Thrush Court Arden NC 28704 (#3483171). I would like to schedule a visit for the property at 525 Wood Thrush Court Arden NC 28704 (#3483171). I have a question about the property at 19 Craftsman Overlook Ridge Arden NC 28704 (#3366818). I would like to schedule a visit for the property at 19 Craftsman Overlook Ridge Arden NC 28704 (#3366818). I have a question about the property at 65 Sunrise Drive Asheville NC 28806 (#3467919). I would like to schedule a visit for the property at 65 Sunrise Drive Asheville NC 28806 (#3467919). Incomparable Craftsmanship, Solid Structural Details, Industrial Steel Supports. Energy Efficient Hybrid Heat & Cool Systems. Lennox Propane Furnace, Wood Furnace, 24 Solar Panels Large Solar Energy Storage Batteries, Generator, 2 Water Heaters. Well and Fresh Spring Water Systems with Storage Tanks. Monthly Electric less than $30/Month. Master on Main. Floor to Ceiling Windows. Radon Mitigation System. Security System. Foundation of Split Block faced with Stucco. Bose Surround System. FL style rounded Edge, Arched Interior doorways, Crown Moldings, Mahogany Built-In Cabinets, Custom Oak Kitchen Cabinets. Art Studio. 30x40 Auto Shop and Workshop, Tractor Shed & Storage Buildings. Raised Garden Beds and Gardening Areas, Fruit Trees & Berry Garden, Outdoor Fire Pit. Nestled among hardwoods & native shrubs yet convenient to Asheville and Hendersonville. Conveys with 10+ acres. Additional adjoining acreage available. Owners desire to restrict additional home sites. I have a question about the property at 331 Toms Falls Road Hendersonville NC 28739 (#3466969). I would like to schedule a visit for the property at 331 Toms Falls Road Hendersonville NC 28739 (#3466969). PROPOSED CONSTRUCTION in the Pinnacle at Arabella Heights, a new, gated subdivision in Arden NC. The Pinnacle 2 is a low-maintenance home with main-floor living. Full-light lower level walkout to patio with wooded privacy; vaulted & tray ceilings; sunroom; granite countertops; hardwood floors; gas fireplace; multi-zoned HVAC; tankless water heater; solid-core doors; frameless master shower door; & NO YARD WORK. Huge selection of interior finishes let you personalize the home to suit your own unique style. Community includes: clubhouse with fitness center; neighborhood pool; and walking trails. Full city amenities with underground utilities, city sewer & water, yet county-only real estate taxes. Convenient to Biltmore Park, only 5 minutes! Long-range community views of Asheville & Biltmore Estate! Energy Star/Green Built. Add 330 sq ft FROG option for 4th bed/bath. I have a question about the property at 11 Craftsman Overlook Ridge Arden NC 28704 (#3359776). I would like to schedule a visit for the property at 11 Craftsman Overlook Ridge Arden NC 28704 (#3359776). PROPOSED CONSTRUCTION - THE PINNACLE 2. Enjoy the security of a gated community in your new Arts & Crafts style home near Champion Hills Golf Course in Hendersonville. This Energy Star, Healthy Built home features low-maintenance exterior finishes and even includes yard work to ensure your time is spent enjoying a carefree life. A large great room with vaulted ceilings and a cozy gas fireplace greets you as you enter through a spacious foyer. Immediately adjacent lies a dining area and large kitchen with granite counters and a breakfast bar. A master suite, two guest bedrooms, and a huge rec room complete the ensemble. You can even select your interior finishes from a wide variety of offerings! And outdoor living? A large deck, perfect for relaxing, awaits you out your back door. Love the plan but need more space? Ask about adding a FROG (Bed & Bath). Only 8 minutes from to town. See this one today! I have a question about the property at 251 Hogans View Circle Hendersonville NC 28739 (#3393391). I would like to schedule a visit for the property at 251 Hogans View Circle Hendersonville NC 28739 (#3393391). PROPOSED CONSTRUCTION in the Pinnacle at Arabella Heights, a new, gated subdivision in Arden NC. The Craftsman 2 is a low-maintenance home with main-floor living. Full-light lower level walkout to patio with wooded privacy; vaulted & tray ceilings; sunroom; granite countertops; hardwood floors; gas fireplace; multi-zoned HVAC; tankless water heater; solid-core doors; frameless master shower door; & NO YARD WORK. Huge selection of interior finishes let you personalize the home to suit your own unique style. Community includes: clubhouse with fitness center; neighborhood pool; and walking trails. Full city amenities with underground utilities, city sewer & water, yet county-only real estate taxes. Convenient to Biltmore Park, only 5 minutes! Long-range community views of Asheville & Biltmore Estate! Energy Star/Green Built. Add 405 sq ft FROG option for 4th bed/bath. I have a question about the property at 15 Craftsman Overlook Ridge Arden NC 28704 (#3359791). I would like to schedule a visit for the property at 15 Craftsman Overlook Ridge Arden NC 28704 (#3359791). PROPOSED CONSTRUCTION - THE CRAFTSMAN 2. Enjoy the security of a gated community in your new Arts & Crafts style home near Champion Hills Golf Course in Hendersonville. This Energy Star, Healthy Built home features low-maintenance exterior finishes and even includes yard work to ensure your time is spent enjoying a carefree life. A large great room with vaulted ceilings and a cozy gas fireplace greets you as you enter through a spacious foyer. Immediately adjacent lies a dining area and large kitchen with granite counters and a breakfast bar. A master suite and two guest bedrooms complete the ensemble. You can even select your interior finishes from a wide variety of offerings! And outdoor living? A large deck, perfect for relaxing, awaits you out your back door. Love the plan but need more space? Ask about adding a FROG (Bed & Bath). Only 8 minutes from to town. See this one today! I have a question about the property at 87 Hogans View Circle Hendersonville NC 28739 (#3393390). I would like to schedule a visit for the property at 87 Hogans View Circle Hendersonville NC 28739 (#3393390).